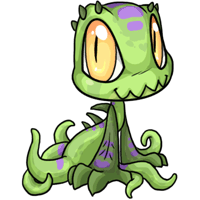 Horticulture the Chibi Aeanoid has won the Pet Spotlight! Awwww..... So cute! Now I want one too! btw, congrats! Love the profile! Oh my, congratulations! If I'm not mistaken I used to own Horticulture originally before adopting him out! Glad to see something good coming of that. Way to go Paddy!! woohoo!! Yay! He won!!! I still check on him all the time. So glad he finally won. I think I've seen this pet a few times....congrats @Paddy! Awww, Horticulture is adorable! Congratulations on the win!